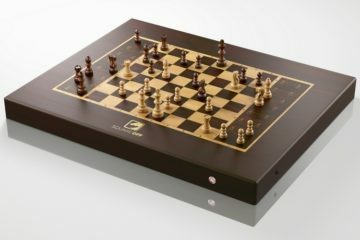 We know, PUBG is no longer the cultural superpower it once was, but you can’t deny how much it changed the landscape of gaming, from taking the streaming scene by storm and setting the concurrent players record on Steam to turning an erstwhile throwaway game mode into the most popular standalone multiplayer genre today. Not to mention, millions upon millions of people worldwide still play the darn game. So where are all my PUBG toys? 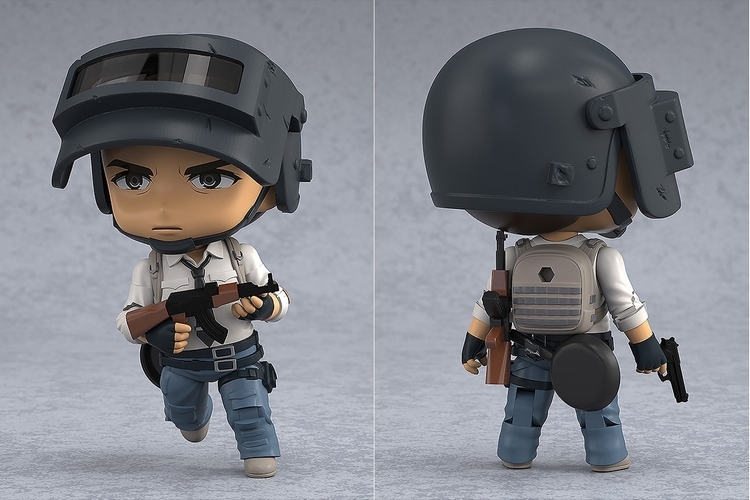 While we’re still waiting for the Funko figure that will probably never come, maybe the Nendoroid PUBG Lone Survivor can tide you over in the meantime. To the unfamiliar, Nendoroid is a series of Japanese-made character figures that combine an oversized head with an undersized body, all done up with an adorable aesthetic. You know, like Funko Pops, except with a decidedly anime art style. And yes, the quintessential battle royale game is finally getting one. 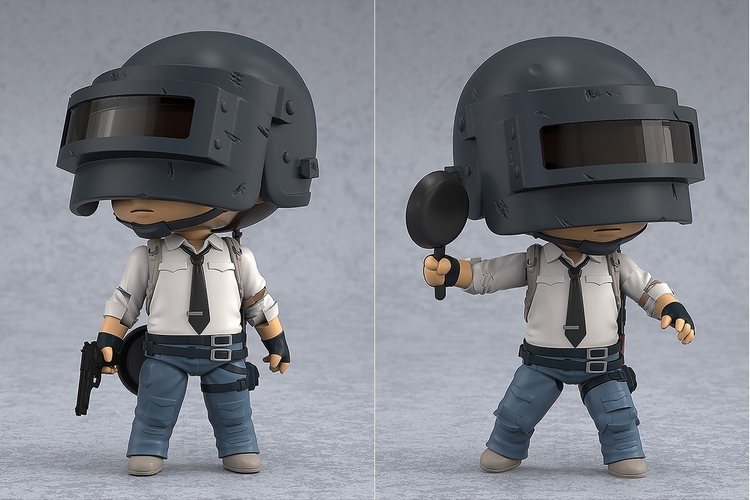 The Nendoroid PUBG Lone Survivor depicts the man in a collared shirt and necktie that’s often featured on the game’s art, making it look like an in-game player that’s fully-looted up and ready to take fights in the circle. Apparently, that character is the lone survivor of a match in one of PUBG’s abandoned maps – one that managed to salvage his Level 3 helmet while burning through whatever vest he found after being riddled with bullets to the body. The figure recreates that character’s likeness, from the white shirt and the necktie to the cargo pants and utility belt to the AK on his back and the pistol on his hand. It’s articulated, so you can make the figure crouch, prone, or go on an all-out attack, with the helmet’s visor able to raise up to reveal the character’s face. Of course, he’s got that familiar Japanese anime face that you’ve probably seen in countless comic books and animated programs over the years (or not, definitely don’t ever admit you watch anime). With articulation on the neck, shoulders, elbows, thighs, and knees, not to mention the visor, this means, you can prop it up in a variety of poses (even ones that the in-game characters couldn’t do, such as getting down on both knees), making this quite a fun toy to display on any shelf. The Nendoroid PUBG Lone Survivor’s AK, pan, and pistol are all removable, so you can put either the pan, the pistol, or the AK on its hand to change up its appearance. And yes, both the pan and the AK can be mounted on its back, although we can’t quite figure out where to mount the pistol from just looking at the pictures. Combine it with other weapon-toting Nendoroid figures to recreate a crazy scene from the game, whether it be a 500-meter headshot from a sniper rifle, a close-quarters squad faceoff, or a melee battle after a hot drop (in which you immediately find a Level 3 helmet and, well, nothing else). 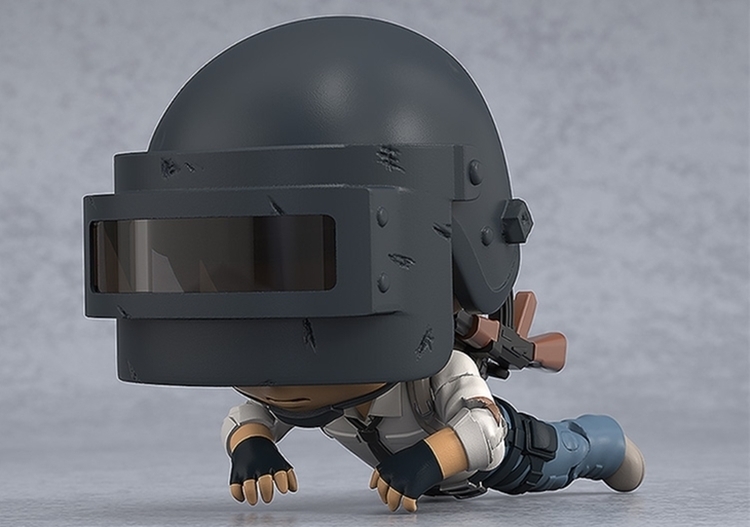 Slated to come out in September, the Nendoroid PUBG Lone Survivor is currently available for preorder, priced at ¥5,200. Never played the game but I can appreciate anyone that wears a welding helmet. It’s not on the character at the start, in fact, you have to actually get it in-game. Watching a lot of Twitch streaming of this title and I don’t recall seeing the welding helmet at all except on the cover art. 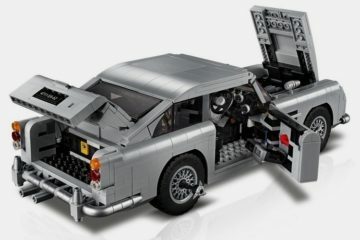 I like how PUBG is always updating the game such as giving us more guns and cars. The PUBG snow vehicles for the Vikendi map was a huge surprise when I logged on. I always defend Rockstar. Sure they are not perfect, but they make the best games ever made. GTA V is flipping awesome. I still love RDR2 too, but I will no longer play online unless they make some drastic changes. 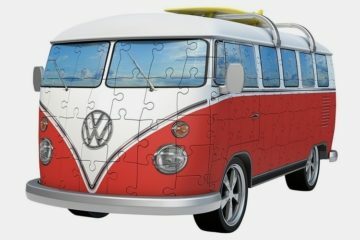 The online mode update was a disaster. I won’t play Rockstar games online. With RDR2 they want people to buy gold bars. Why would I pay money to play online with other people when I already bought the game and can play with myself without having to pay more money. I don’t mind buying a quality game, but I will not keep pumping money into it just to play online with other people. 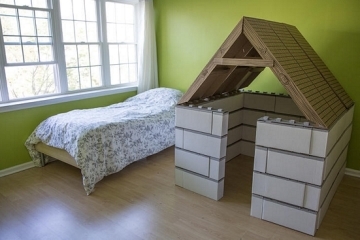 All I heard about for a long time was Minecraft. I finally checked out Minecraft to see what all the hype was about and now it is PubG that has taken over the gaming world. 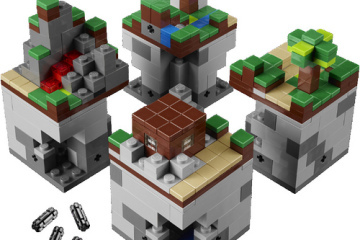 I like Minecraft, but not as passionate as many of their fans are. I like to see games that become very popular. Gaming can help make a more peaceful World by bringing people together who may never have gotten to meet any other way. I dislike that PUBG has some limited-time-only outfits that they offer. Last week they came out with the Horizon Zero Dawn outfits. These PUBG outfits are free but only available for a limited time. The problem I have is if someone doesn’t discover PUBG until after the promotion, then they can NEVER get these outfits for their character. Doesn’t seem fair to me. Eh. Having custom hat outfits might look cool but it doesn’t really affect the gameplay. I think it is really good that they occasionally offer free bonuses for free instead of making you try to pay for every little item. I didn’t realize that PUBG had set the record for “concurrent players record on Steam.” That’s actually pretty astounding considering how many different games are so popular on there.